This 4th of July weekend (July 6th), join us on this Memorable and Meaningful occasion, as we celebrate Independence Day and honor our Active Military Members and Veterans! 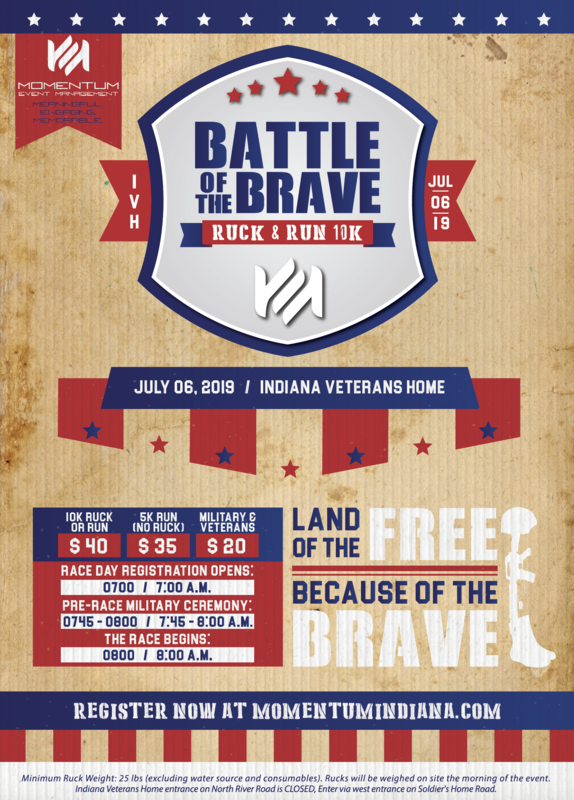 Packet Pick-Up Available from 4:00 PM-7:00 PM on Friday, July 5 at the Indiana Veterans Home. Note: The Main Entrance (Big Hill) on North River Road will be CLOSED for the event. Please enter via the entrance on Soldiers Home Road. Parking will be limited to the Mitchell Lot (ML Lot) and Lincoln Lot (LDL Lot). 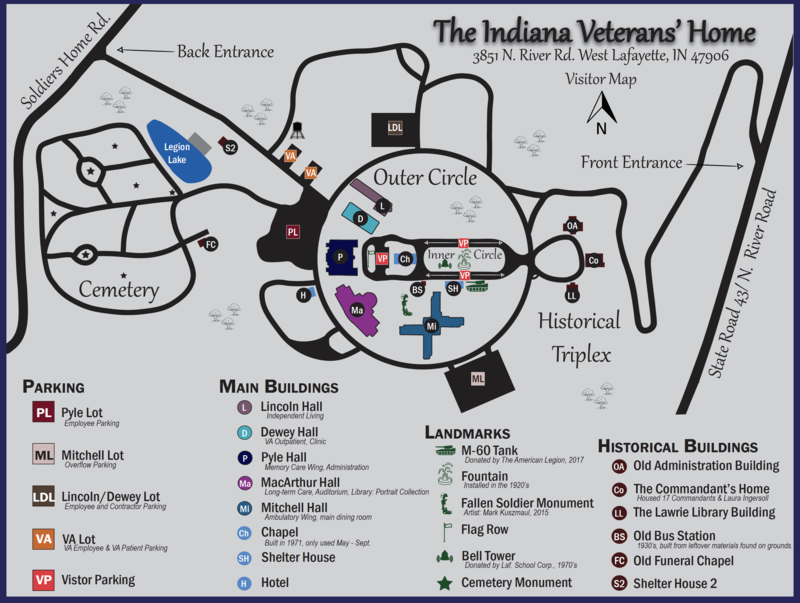 Please see the IVH Map below. All active military members and veterans will have a special registration cost of $20 for all entries. You must provide a military ID number to receive the discount. Only one registration per military ID number. Please register by Monday, June 24 to guarantee a commemorative t-shirt and swag. Custom participant medals and commemorative shirts to ALL participants! Specialized Ruck Patches will be awarded to all Ruck Race Finishers. Top male and female overall in the 10K Run/Walk, 10K Ruck, and 5K Run/Walk divisions. Wear your patriotic gear, come in uniform, or run with a flag! No refunds issued for any reason. Please no animals. Please no bikes, roller blades, scooters, skateboards, or anything that would enhance performance or pose a risk to other participants. 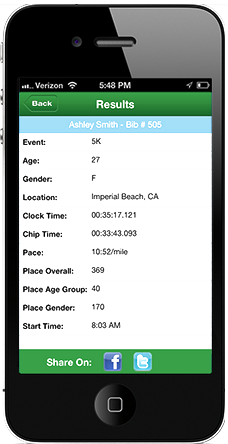 This is a chip timed race through a partnership between Momentum Event Management and The Franklin Finish, LLC.